International supermodel Millen Magese chats to us about dealing with endometriosis. 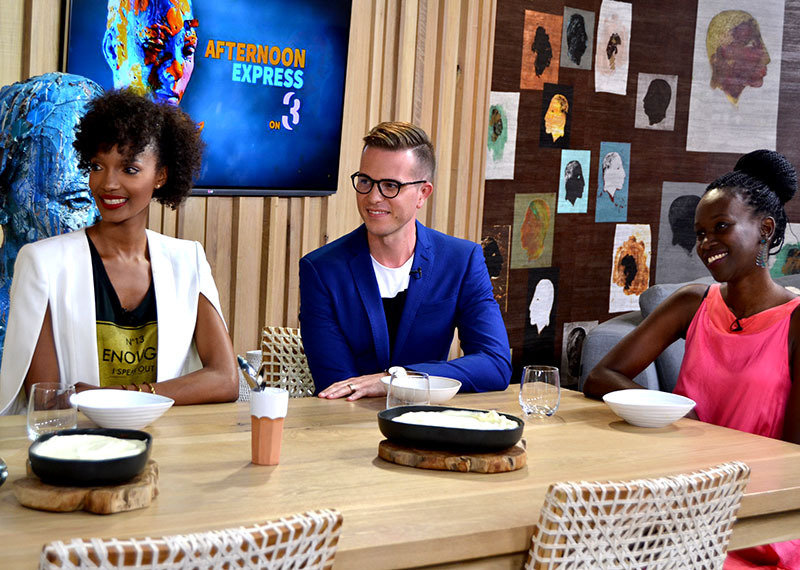 Win a Home is now on Afternoon Express! South Africa's premier design and decor reality show starts soon, design hopefuls can apply to enter here. Ts&Cs apply. There's plenty of fashion in store on today's Afternoon Express. First in the loft, we're chatting to former Miss Tanzania and international supermodel Millen Magese about her stellar career, but also her struggles with endometriosis. She is joined by gynaecologist Elmarie Basson who will explain to us the causes and symptoms of this disease which affects over 176 million women across the world. Casper Bosman is an up and coming fashion designer who will be showing off some the latest designs from his range. We're also joined by fashion experts Nontando Mposo and Tarryn Oppel who take us through some of the hottest winter fashion by SA designers. We're also showcasing a unique footwear designer from the label Galago, which focuses on sandals that are made up of a sole and interchangeable upper pieces. They’re 100% African in that all the components are sourced locally and the sandals are made by local women, with the idea of recognizing and investing in African wealth. We’re joined by the founder of Galago, former model-turned-entrepreneur, Adhiambo Mula-Lauwers. In the kitchen, Clem creates the most amazing lava, peanut butter and chocolate pudding.